These words, by a religious leader of the 18th century unfortunately remain true even today. World statistics point to the fact that over 40% of the earth’s population are unreached by the Gospel. 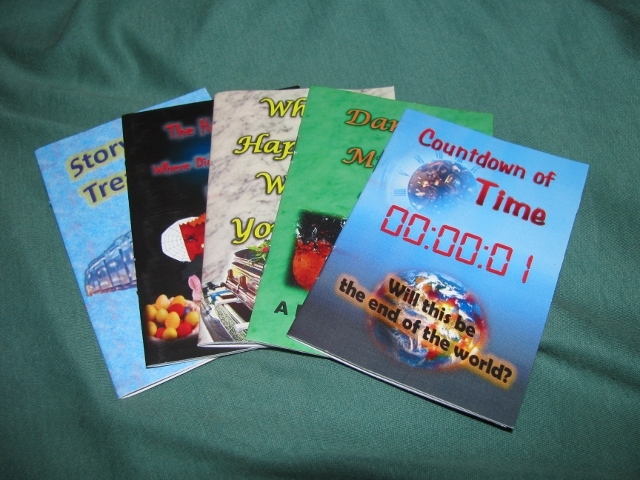 We are told that the Gospel penetrating the whole world is a sign of the end, and as we see the disasters taking thousands of lives, should we not be in haste to bring the earth’s misery to a close by hastening Jesus Christ’s return. Some people believe that since the gospel has reached every political country, our job is done, but this is like saying that since we planted a 100 member church in Phoenix, Arizona, the USA is reached. In Matthew 28:18-20 the Gospel Commission is given. Of the 16,801 people groups, according to the latest statistics over 6,000 are considered to be unreached with the gospel. According to one source, as of 2013, there are still over 2,900 unengaged (no missionary work being done) and unreached people groups. This means that there are over 2 billion people who do not have the gospel, many of which may not even have opportunity to learn the truth. Yet despite the condition of so much of the world failing to know the truth, the missionary spirit among professed Christians is lukewarm. Just as ancient Israel settled the land already conquered, so the church of today settles down to feed themselves instead of gaining new territory for Christ. The world’s population is over 7,200,000,000 . More than 2,000,000,000 people are considered unreached. Every minute over 21 people die without hearing the gospel. Over 700,000,000 people in the world cannot read or write. 42.3% of the world population uses the Internet. www.internetworldstats.com. Over 100 tribes are not even contacted by outsiders. To each is given their call to help the unreached. To those who may not have the talent of learning languages, or going to a foreign nation as a missionary, they can send help by prayer or sending felts, and supplies or Bibles overseas. Bibles are needed that are translated into the languages of the people. However one must not forget that over 700 million adults cannot read or write and therefore missionaries are just as important. Even in places that have been reached by missionaries and have churches, many do not have successful evangelism programs to reach children. Churches, even in territories that have been reached, struggle with the fact they have no children’s classes and equipment to teach the young. There will be people saved from every nation, kindred, people, and language. 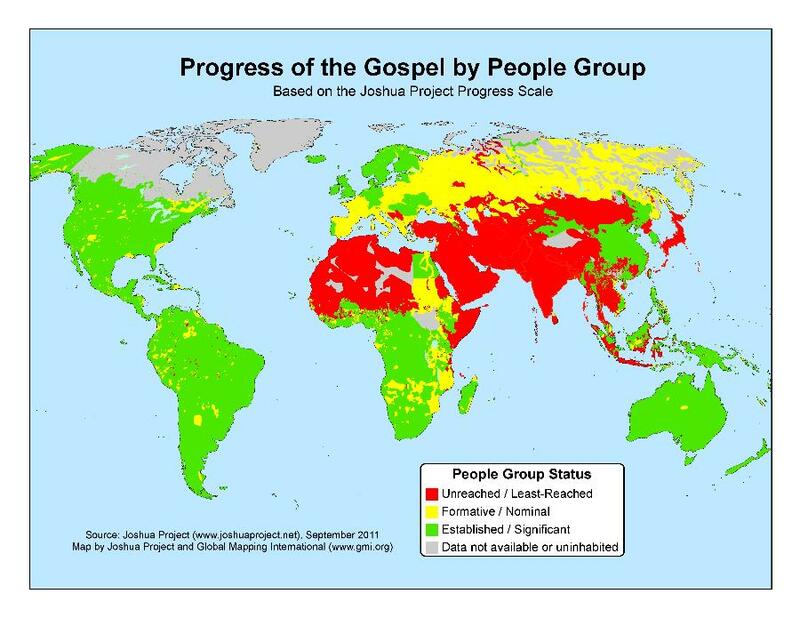 This map from Joshua Project (Evangelical) gives an idea of how much of the world was still "Unreached" as of 2011. Even less has been reached with the 3 Angel's Messages! The world will not be reached unless there is more self-denial and sacrifice on the part of God people. But we should be willing to give everything to get the message to the world. Jesus Christ gave up the comforts and the safety of heaven for our salvation. To love others like Christ did, we should be willing to give up the earthly comforts we enjoy to save souls. If the gospel is really to be preached to every person before Christ comes to end this world of misery, than who is to blame for the disasters and crimes taking place in the world today? Could God's professed people, who are not fulfilling His Commission, be in part responsible for the problems in the world? Are we withholding the only hope there is for mankind from much of mankind? Ask yourself the question: If Christ is waiting for me to help spread the Gospel, how long will He have to wait?